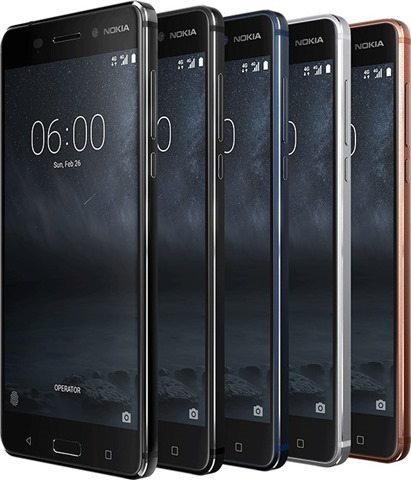 When will the Nokia 3, Nokia 5, Nokia 6 and Nokia 3310 be launched in India? This is the question on our minds, but now something has caught our attention, a report has emerged with the supposed technical specifications of the Nokia 9. This is allegedly the flagship phone, which HMD Global will release, and on paper the device does boast very impressive hardware. Unlike the mid-range handsets which the Finnish company has launched, the Nokia 9 will be powered by the state-of-the-art from Qualcomm, a Snapdragon 835 processor, with 6B of RAM, and will run on the latest and greatest OS from Google, Android 7.1.2 Nougat. The phone has been tipped to sport a 5.5-inch QHD OLED display, and will come with an Iris Scanner and a Fingerprint Scanner. The device will feature a whopping 22 megapixel rear camera with a Dual lens, from Carl Zeiss. The selfie lens is a 12 megapixel snapper. The Nokia 9 has also been said to be the first phone to come with Nokia OZO audio enhancements, which is capable of Full 3D/Spatial 360 audio capture, 3D optimized audio for headphone and spatial audio playback, etc. The Nokia 9 will be backed by a 3800mAh battery, which supports Quick Charge 4. The device will be certified for IP68 dust and water resistance, though we are unsure if this will have any effect on the presence of the 3.5mm Audio jack. Nokia Power User, which is the source for this news, says that this is based on an anonymous tip, and that it may not be 100% accurate.